Have you ever had an appetizer that could double as a dessert? Well this recipe, my friend, has been known to be both. It actually was not intended to be a dessert. I had made them for a friends BBQ as a starter. But when we were done with dinner, our friend asked if he could have the remaining quesadillas for his dessert. Yes, they’re that good. 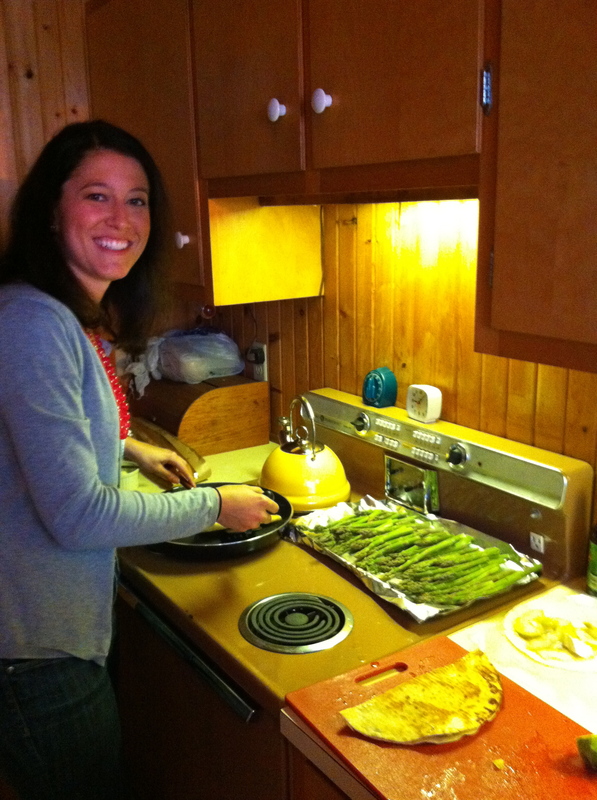 This recipe was inspired by Cooking Light, which has a Peach & Brie with Green Onion Quesadilla – also very delicious. I was going to make that recipe for a party, but when I got to Whole Foods, there were no peaches! So I decided to try it with pears and to omit the onions. I’ve made this dish several times now, and have only made it with pears since. 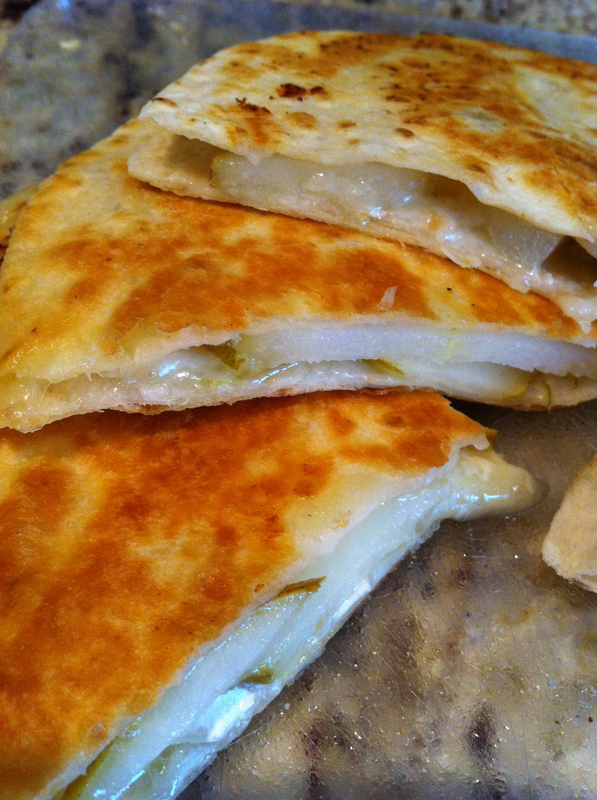 To prepare quesadillas, combine pears, drizzled honey, lime zest & juice, tossing gently to coat. Heat a large nonstick skillet over medium-high heat. Arrange cheese and pear mixture over half of each tortilla; fold tortillas in half. Coat pan with cooking spray. 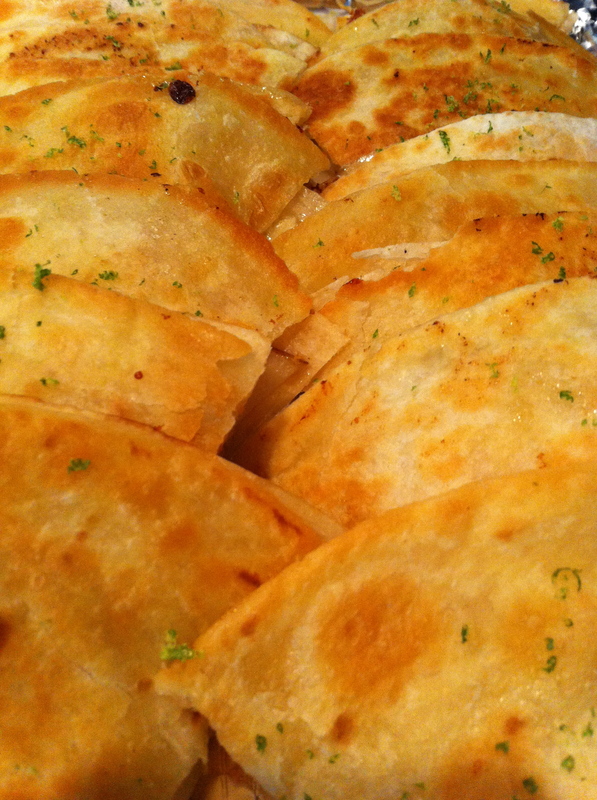 Place 2 quesadillas in pan; cook 2 minutes on each side or until tortillas are lightly browned and crisp. Remove from pan; keep warm. Repeat procedure with remaining quesadillas. Cut each quesadilla into 3 wedges; serve with sauce. Garnish with lime zest, if desired. This sounds amazing! and easy! and kind of like dinner tonight 🙂 The lime honey dipping sauce is a great touch too. Thanks for sharing!